Attn: Apple Scrumpers - it's scrumping season! As I write this, I don’t know where the summer has gone. It’s now the middle of October and we are in the middle of apple season in the County. Our summer has been extremely busy - work in the orchard, bottling the 2017 cider, getting our license, working on design & with the contractor getting our production & tasting room space finished. 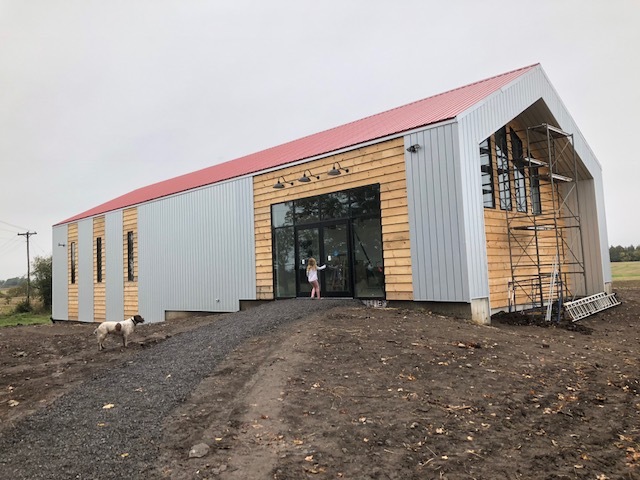 It should be finished this week & we are so excited to move out of our tiny workshop and have some space to move around before apple pressing starts for this harvest. We will pay you by the bushel to bring us your unsprayed/uncultivated apples (no pesticides/insecticides). $20 / bushel of apples or pears; $30 / bushel if they are quarter sized or smaller. An apple can have a cut or bruise, but absolutely no rots allowed - one bad apple can turn an entire bushel. You will also need to sign an invoice with the tree location indicated (licensing reasons - I will have an invoice book here). You can measure the volume of your apples in bushels at the cidery & we can decant from your containers into our bins once measured. We will accept apples at our farm at 890 Danforth Rd, starting on Sunday, October 14th until Friday, October 26th. Please email to arrange a time to drop off the apples. If you have apple trees but don’t have the inclination or facility to pick the apples, please get in touch. 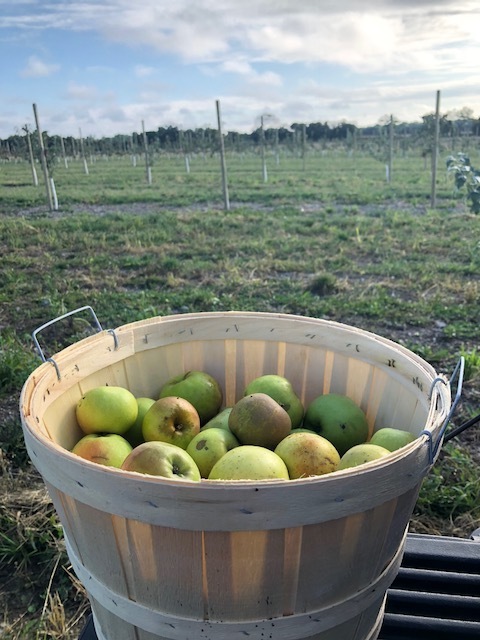 Please make sure you get the landowners permission to pick any apples you see :) Be safe while picking - easiest way to pick a seedling tree is to get some tarps, lay them down on the ground and use something to shake the branches (broom pole, etc). Any ripe apples will fall easily onto the tarp. Watch your head when shaking!